African Export-Import Bank plans to sell shares in Nigeria and two other African countries to support lending and broaden its ownership base. The Cairo-based lender is in talks with Nigerian regulators to issue depositary receipts and raise equity worth $200 million by the third quarter, Afreximbank said in an emailed response to questions. It is still considering the other markets and will release details once discussions have been finalized, the company said. Afreximbank, which was started in Nigeria in 1993 to finance and promote trade across Africa, will list about 67 million existing depository receipts on the Nigerian Stock Exchange to improve liquidity, it said. The lender approved $3.2 billion of credit for Nigerian companies last year and has received loan applications from more than 30 firms in the West African nation seeking “specialized credit” or loans for trade, projects and infrastructure finance, the lender said. It is targeting trade, financial services, tourism, manufacturing, export infrastructure and agro-processing for loans, it said. As the Nigerian economy recovers, “funding is required to harness the opportunities,” Afreximbank said, adding that it is talking with the Nigerian Export-Import Bank about a joint program that will grow the country’s non-oil exports. Gross domestic product in Africa’s biggest crude producer expanded 0.8 percent in 2017 compared with a contraction of 1.6 percent in 2016. 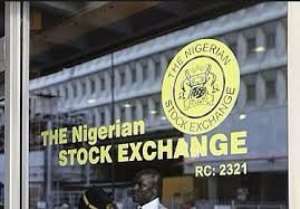 The 162-member Nigerian Stock Exchange All-Share Index has gained 13 percent this year after rallying 42 percent in 2017.